Dublin, Ireland, October 28, 2016 — Nuritas, the Irish biotechnology and R&D company, today unveils details of a scientific breakthrough which is being hailed internationally as a game-changing opportunity in the fight against the global diabetes epidemic. The identification by Nuritas of a scientifically validated and patent-filed peptide represents a major breakthrough in the battle to prevent Type 2 Diabetes. This revolutionary ingredient, sourced from nature, carries the potential to prevent pre-diabetic patients developing diabetes. Currently, there is no proven medical or other treatment that can be recommended for pre-diabetics to help prevent their progression into diabetes. The EU’s Horizon 2020 funding will now unlock a total of over €3 million for Nuritas to support the final stage of its research and the commercialisation of what would be a world-first development in diabetes prevention. This will include a series of Irish-based clinical trials being rolled out over the next 18 months. Pending regulatory approval, Nuritas will have its new peptide integrated into functional food products and available on the market as early as 2020. The World Health Organisation has declared diabetes to be a global epidemic affecting 422 million people, with 1.5 million dying in 2012 alone. 9 out of 10 sufferers have Type 2 diabetes and a staggering 1 in every 3 adults over 30 in England are now classed as pre-diabetic. Nuritas has also recently opened a US office based in San Francisco. Its peptide pipeline is recognised internationally as having significant future applications across a range of sectors including Pharmaceutical, Functional Food, Healthcare and Supplements. Nuritas is revolutionising the discovery of novel, natural and scientifically proven active ingredients that can promote, manage, and improve human health. The company has received global recognition for the impact its innovative technology will have on the future of health. This includes winning the overall Innovation Award at the Forbes Reinventing America Summit in 2015. This highly selective competition run by Forbes magazine aimed to identify the company most likely to solve the food and wellness challenges of the 21st century. 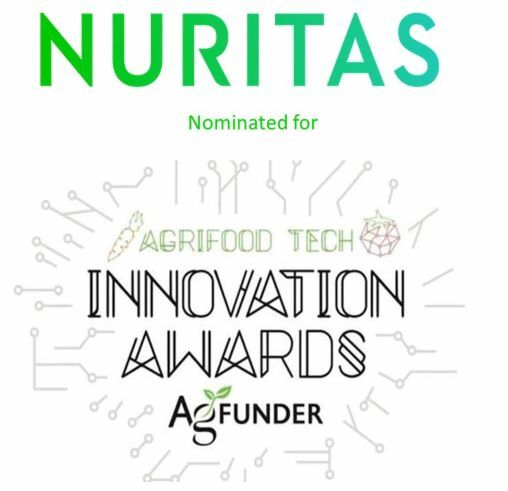 In October 2016, Nuritas was the winner of the Nutrition Capital Network Venture event, which recognised them as 2016’s most innovative new ingredient company. This award was made at Supply Side West which attracts over 14,000 trade and medical visitors to the world’s leading ingredient and solutions congress. Horizon 2020 is the financial instrument implementing the Innovation Union, a Europe 2020 flagship initiative aimed at securing Europe’s global competitiveness. Horizon 2020 is the largest EU Research and Innovation programme to date with nearly €80 billion of funding available from 2014 to 2020. It promises more breakthroughs, discoveries and world-firsts by taking great ideas from the lab to the market. The information in this press release reflects only the author’s view and the European Commission is not responsible for any use that may be made of the information it contains.